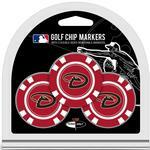 MLB - GolfersEdgeOnline.com - Best Golf Equipment On The Web!
! !Click More Info for All MLB Teams! !